Blue and white is such a fun color on little girls. 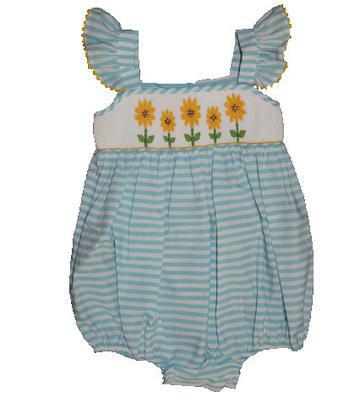 The light blue and white horizontal stripe bubble has sunflowers smocked on the chest and angel wing straps on the shoulders. There is buttons on the inside of the legs to accommodate diaper changes. 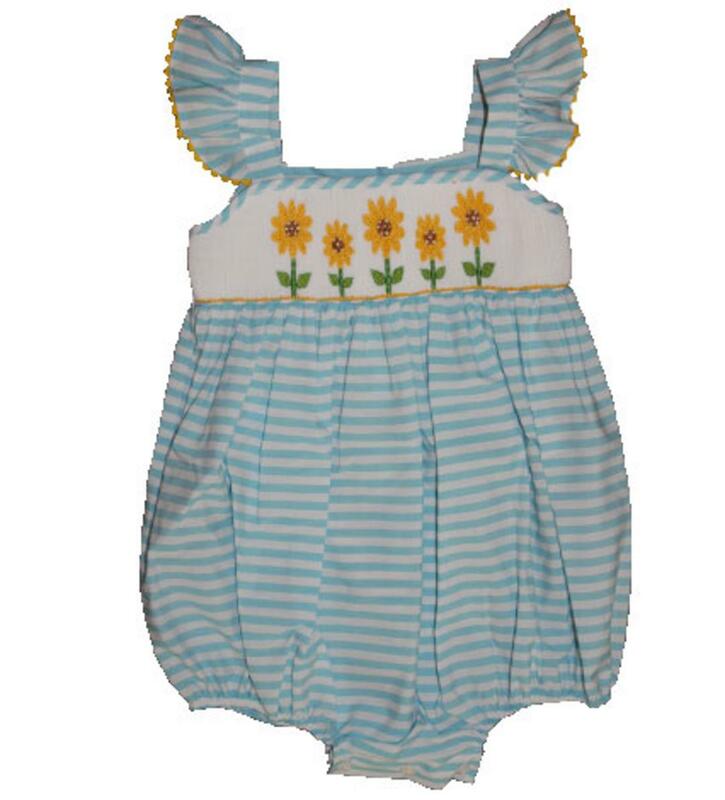 There is buttons down the back to get on/off easily and this adorable outfit is 55% cotton and 45% polyester.